Wild Alaska is a TV show on Australian national television from Channel 9 with an average rating of 3.8 stars by TVCatchUpAustralia.com's visitors. We have 3 episodes of Wild Alaska in our archive. The first episode of Wild Alaska was broadcast in June, 2017. Did you miss an episode of Wild Alaska but don't you wan't that to happen in the future? Please set an alarm and add Wild Alaska to your favourites, so we can remind you by email when there's a new episode available to watch. Completely free: handy! Part of the most modern nation on Earth, Alaska is a unique wilderness marked by extremes. This series explores spring, summer & winter in this extreme wilderness and discovers unique species that have learnt to thrive in these harsh conditions. 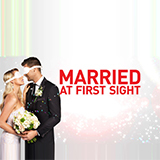 Married at First SightMarried at First Sight is an Australian reality TV series in which three dating experts match up four couples who have never met before, and who will marry each other when they meet for the first time. New AmsterdamCatch up on New Amsterdam and watch online. Find the latest episodes of New Amsterdam, broadcast by Channel 9. Bad MothersCatch up on Bad Mothers and watch online. Find the latest episodes of Bad Mothers, broadcast by Channel 9. Talking MarriedCatch up on Talking Married and watch online. 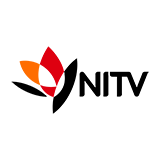 Find the latest episodes of Talking Married, broadcast by Channel 9.